Place des Arts offers students of all ages and skill levels the opportunity to develop a deep appreciation of the visual arts. Our objective is to provide a friendly, non-competitive environment where creativity and innovation can flourish. Visual Arts classes for all ages in a wide variety of mediums, including drawing and painting as well as fibre arts and ceramic arts, run during the fall, winter and spring sessions. Students are encouraged to take more than one session, as each session introduces new ideas, techniques and materials. Register online, by phone at 604.664.1636 or in person at Place des Arts. 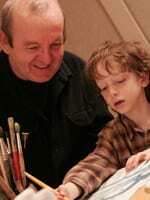 Do you want to try your hand at drawing, painting or mixed media? Or are you an experienced artist looking to hone your skills? With our wide variety of fine art classes offered by experienced and talented teachers, you’re sure to find something to fit your skill level and interests. Our fibre arts classes for children introduce them to a new world of crafts by exploring weaving, felting and other fibre arts. Kids can create their own one-of-a-kind treasures and gain hands-on experience while developing fine motor skills, colour sense and an understanding of how textiles are created. In our adult fibre arts classes, students develop skills in tapestry, weaving, and spinning & dyeing while creating beautiful projects. Our well-equipped, dedicated fibre studio, featuring a variety of table and floor looms, as well as spinning wheels, provides the ultimate learning environment. The studio is available to registered students for practice sessions free of charge. Weaving students are also able to take home small table looms for practice between classes. Students who borrow equipment that will be taken out of the building will be required to sign a contract and pay a refundable deposit of $50 on small equipment and $100 on large equipment. A non-refundable fee of $5 will be charged per session to help cover the cost of repairs and maintenance of loaned equipment. Kids love getting their hands in the mud in our Clay Play handbulding classes, and teens and adults can develop and hone skills in handbuilding or wheelthrowing. Place des Arts is equipped with a mid-fire stoneware facility consisting of three spaces: the manufacturing area, the glazing area and the kiln room. The manufacturing area has ten pottery wheels and space for handbuilding. Available glazes are displayed in the glazing room with a reference library. Three electric kilns of varying sizes and one gas kiln offer the option of both oxidation and reduction firing. Clay must be purchased from Place des Arts, and a supply list is available at the registration desk. Open studio time is included for students registered in pottery classes. Explore visual art techniques in a safe and nurturing environment. You’ll practice fine motor skills, create artwork, develop social skills and build confidence. This program is designed for those with special needs and/or learning challenges. Participants who require one-on-one support must provide their own support worker/volunteer aid. Learn to draw in the diverse styles of Japanese comics and cartoons. You’ll practice design, proportion, expression and body language. Learn to draw your favourite characters, and then create a cast of compelling characters to star in your own printed manga comic book. Supplies included. Kenten is a comics creator, illustrator and graphic designer. In addition to publishing his own comics and comic strips and doing freelance storyboarding and character design for the television industry, he teaches weekly comics and cartooning classes. In his free time, Kenten is completing a graphic novel. Catch the art bug! Explore various art techniques using pencils, pastels, markers, watercolours, acrylic paint and polymer clay. You’ll learn what line, colours, shape, form, space, contrast, value and texture are in art. With a focus on the creative process, come expand your imagination and gain a new appreciation for art. Supplies included. Lena Savic studied Art History at Belgrade University, and Fine Arts at Langara College and ECUAD. She had worn many hats in art; from art critic, juror, curator, art dealer, gallery manager, to art instructor and practising artist in her East Side studio. She took part in artist’s residencies in Italy, Cuba and Vancouver’s schools. For over 15 years Lena was involved as a volunteer, community art project-leader and an instructor in various art programs and events for children and adults across Metro Vancouver. Her interests are diverse, yet throughout all her work in photography, mixed media, installation, painting, drawing and earlier ceramics, she has been drawn to the texture. As an instructor, Lena emphasizes formalism as a foundation of visual literacy and believes that, besides creativity, art stimulates focus, cognition, self-confidence, perseverance, resourcefulness…. This workshop combines studio sessions with field trips and focuses on media, style and ideas to provide an enriched program for students serious about improving their artistic ability. Consideration will be given to students’ needs in planning the activities. An interview and/or portfolio are required. Classes take place in Don Portelance’s home studio. Supplies included. Don Portelance is a master artist and teacher, working in a variety of media. Through the years, Don has received many awards and has exhibited in numerous solo and group shows. His work appears in private and corporate collections around the world. Bernadette has been practicing yoga since 1984. 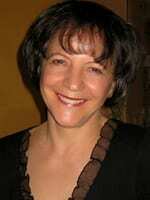 She received her Yoga Teacher Certificate in September 2000 upon completing five years of yoga study with Om Sairam. Bernadette has also received her 500-Hour Yoga Teacher Certificate from Sandra Sammartino and her Canadian Yoga Alliance Experienced Registered Yoga Teacher Certification (CYA-E-RYT500). Bernadette has been teaching yoga to both adults and children since 1999, blending dedication, passion and joy into her teaching. She is a member of the Yoga Alliance and, over the years, has continued to develop her yoga education through workshops, reading and practice. 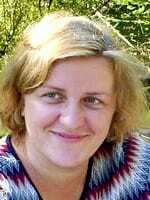 Bernadette is also a successful visual artist and teaches art to children. Learn to draw all kinds of characters, from funny animals to humans. You’ll practice design, proportion, expression and body language, and learn how to draw your favourite characters. Then you’ll create your own characters to feature in the comic stories you write. Supplies included. Dive into the world of comic book making. You’ll create your own cast of characters and bring them to life by throwing them into poses with other characters, objects and environments. You’ll then write and draw your own multi-page story and learn how to lay-out, copy, fold and staple copies of your own comics! Supplies included. Stop-motion animation with clay and toys, and hand-drawn animation like anime and Saturday-morning cartoons―in this class, you will try it all while creating your own dynamic and entertaining animated short films. A camera with removable memory card is recommended for this class. Supplies included. Learn how to turn your personal stories into a comic book. This class will cover drawing basics, how to format a comic, how to write for comics and the basics on how to print and distribute your comics. Suitable for all levels. Supplies included. Since 2005, Vanessa has enjoyed teaching all ages in drawing, cartooning, comics and animation. Her classes have been hosted throughout the Lower Mainland, including at the City of Burnaby’s Shadbolt Centre for the Arts, the City of Richmond’s Arts Centre and Place des Arts in Coquitlam. Vanessa holds a Bachelor of Fine Arts in Visual Arts from the School for Contemporary Arts at Simon Fraser University and an Associate’s Degree in Commercial Animation from Capilano University. Currently, Vanessa works as a storyboard artist on shows like Ready, Jet, Go! for PBS and Ghost Patrol for Disney. Learn the basic techniques of handbuilding pottery while having fun! You’ll engage in independent exploration to create imaginative decorative pieces, which may include animal sculpture or fashioning and decorating functional items. Projects will be fired then painted or glazed. Supplies included. 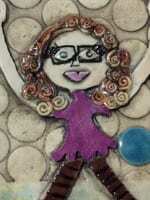 Noelle is a ceramic artist and instructor who is passionate about sharing her love of clay with students of all ages. She has a BFA in Ceramics from Emily Carr and 18 years of teaching experience throughout the Lower Mainland at organizations such as Arts Umbrella, The Anvil Centre and The Surrey Art Gallery. Her studio practice focusses on whimsy, storytelling and colour as it relates to sculptural forms. 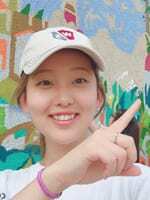 She believes that clay is a unique and magical material that allows unlimited possibilities in creative expression and finds great joy in supporting her students in finding their own unique art voice and vision. Express your creative ideas! Through a balance of formal training and creative exploration, you will explore shapes, shading, light, colour and perspective. Draw and paint in a variety of art mediums, including oil and soft pastels, watercolours, ink, pencils and crayons, and explore mixed-media techniques as well. Supplies included. 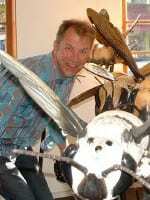 Stan is an art practitioner with ten years of formal art training (MFA and MEd) and lifelong practice. His art adventure and passion has never worn out since the time he made a fantastic scribble of “Guernica” at the age of two. Stan started his teaching career over 30 years ago at The Public School of Fine Arts in Opole (Poland) and currently continues as an art instructor at Emily Carr University of Art and Design in Vancouver and here at Place des Arts. Throughout the years, Stan’s work has been presented at individual and group art shows in Poland, Austria, Germany, Belgium, Switzerland, Hungary, South Korea, China and Canada. Olga received her BFA from the Institute of Art and Design in Moscow. 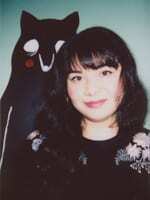 She has worked in a wide variety of media, including oil, watercolor, pen & ink, ceramic and puppet making. Throughout the years, her artwork has been presented at individual and group shows in both Russia and Canada. She has enjoyed her work as an art teacher for almost 20 years. Jocelyn Sanchez is a Vancouver-based interdisciplinary artist focused on visual development and storytelling through digital media and illustration. 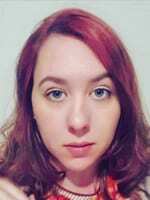 A recent MA Animation graduate from the University of South Wales in the United Kingdom, she is currently working on a children’s book and short animation series. She is excited to share her knowledge and passion of visual and media arts with the students of Place des Arts. Explore your creativity through mixed-media techniques and drawing and painting in a variety of mediums, including oil and soft pastels, watercolours, tempera, ink, pencils and crayons. Make new friends and learn basic drawing skills, including shapes, shading, light and colour in a fun, friendly atmosphere. Supplies included. Continuing from Drawing 102, develop and expand your drawing and observation skills in series of challenging projects using a variety of mediums such as charcoal, ink, graphite and pencil crayons. Students will explore proportion, resemblance, texture, shape and visual expression in observational and imaginary, program-inspired or self-directed type of projects. Model fee and supplies included. Jane Appleby is an expressive painter inspired by the Canadian landscape, often painting outdoors in the plein air tradition of the Canadian Group of Seven. Her abstract and impressionistic work has been described as Emily Carr meets Gauguin, both spiritual in nature and colourfully unique. Jane was born in the Czech Republic and immigrated to Vancouver in 1969 with her family and recalls the freedom she felt at experiencing the beautiful natural settings of the west coast. She was previously an x-ray technician and fitness instructor and decided to follow her dream of painting professionally after studying art and learning from many prominent artists. The late Robert Genn, at one of his workshops, dubbed Jane a full member of “The 37 club” – fast and purposeful painting in 37 minutes and 37 strokes. She now teaches this method. 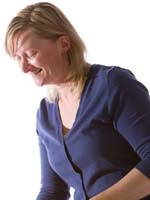 Along with taking numerous workshops, Jane obtained a Biology Degree from Simon Fraser University and a Fine Arts Techniques Certificate from Emily Carr University of Art and Design. Jane has received several awards from the Federation of Canadian Artists, written articles for the Art Venues Magazine, and taken FCA members on Plein-Air Paint-Outs. 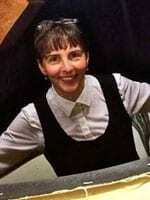 She serves on the Port Moody Arts Centre Gallery Committee and instructs workshops at Place des Arts. On occasion she can be found teaching watercolours at sea on the Cunard Cruise Lines. 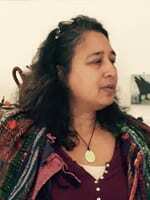 She has been painting for over 25 years and currently works in oils, acrylics and watercolours. Her work is available at Silk Gallery in Port Moody and Gallery 88 in Vancouver. She shares her inspirations and painting methods on her YouTube Channel: Jane_Appleby_Art and website janeappleby.com. Through her work she hopes to inspire the artist in all of us. Try something new in this hands-on workshop. 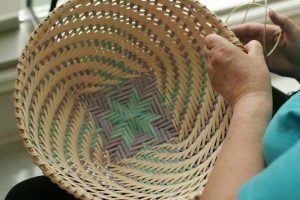 You will learn basic basketry techniques like plaiting and twining, and twist natural rattan cane into small baskets and wreaths just in time for Easter. Bring a towel; supplies included. Catherine Dumaine is a fibre artist living in Port Coquitlam, B.C. 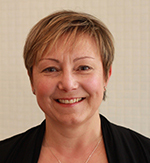 She has been teaching in art centers and institutions around the Lower Mainland and in local schools since 2007. Catherine’s Fibre Fun classes for children are among Place des Arts’ most popular programs, and she is also a regular art camp teacher, where she offers a variety of fibre arts classes to children and youth. Catherine’s work has been exhibited in shows locally including at Place des Arts, in the Port Moody Festival of the Arts and at Leigh Square Community Arts Village. She also served as the curator for the Craft Year 2007 exhibit Au Naturel. Catherine has led community engagement workshops for Place des Arts, both at the centre and as a Place des Arts representative at external community events. In 2013, she helped Place des Arts celebrate our 40th Anniversary with her community engagement Social Fabric Project, and in 2016, 2017 and 2018 as an artist in residence, she engaged thousands of school students to create lantern installations that were unveiled during our annual winter season event. Catherine continues to advance her skills through the multitude of fibre arts workshops she takes each year. Explore the art of wet felting with your child, and acquire the necessary skills to create finished pieces such as beads, vessels and flat felted pieces. Once you learn the basics of this ancient craft, the possibilities are endless―create embellishments, small, wearable pieces and gifts. Supplies included; fee includes parent & child. Learn a new world of crafts by exploring the ancient art of weaving. Learn spinning, weaving on table and inkle looms, tapestry weaving, felting and more. Create your own one-of-a-kind treasures and gain hands-on experience while developing fine motor skills, colour sense and an understanding of how textiles are created. Supplies provided. Gathering baskets have many uses, from carrying flowers from the garden to storing items for a meeting. Make your own large, rectangular gathering basket using plaiting and twining techniques incorporated with a square oak handle. This substantial basket will be completed over the two classes with homework in between. Supplies provided. Kristen has over 20 years of experience working with fibre, whether it be knitting, weaving or basketry. Kristen’s professional career is outside of the studio; to the classroom she brings with her years of experience teaching adults, a passion for learning and a love of creating. Creativity and imagination! Come explore different art mediums―painting, drawing, collaging, printing, clay modelling and much more. Through a series of process-oriented and open-ended projects, young children will discover the joy and excitement in doing art! In freestyle weaving, there are no mistakes! This class is for beginners or anyone who would like to challenge their creativity. Starting with a basic project, learn to set up the loom and explore different weaving techniques. You will also complete a second project of your choice. Suitable for all levels. Supplies included. Looms are provided for at-home practice; equipment loans require a deposit. Studio time is available to registered students. Dawn studied weaving with a master weaver for many years and completed the Fashion Arts program at Vancouver Community College. She also has a BSc from UBC. Community engagement is an important part of Dawn’s practice. She believes that making art should not be the private domain of the talented or learned few. Rather, everyone should feel free to explore their own creativity without worrying about whether their art is good enough. In this introductory class, learn how to warp and weave on a table loom and discover the wonderful world of four-shaft weaving! You’ll be amazed at the many ways colour and texture can come into play. Suitable for all levels. Supplies included. Table looms are provided for at-home practice; equipment loans require a deposit. Bring your own table loom if you have one. Studio time is available to registered students. Rosie Kerschbaumer has a BA from the University of Alberta and a Fashion Arts and Technology Diploma from Kwantlen Polytechnic. She also worked in the garment industry for several years. She is a member of the Coquitlam and the Greater Vancouver Weavers’ and Spinners’ Guilds. Rosie is captivated by the way weaving blends different fibres, techniques and structures to create endless unique results. In this introduction to digital media for kids, learn how to create art through different mediums within the digital world. From pixel art to animation and game making, this class is catered to curious minds who want to create using computers. Bring your own fully-charged laptop to every class. Gain inspiration from the outdoor experience and spontaneously capture landscape using acrylic and/or watercolour paints. Individual expression is encouraged. If weather permits, the workshop will be held at Mackin Park, but studio space is available if the weather is poor. A confirmation email will be sent out by Friday Jun 5. This class is suitable for all levels. Supply list available at the reception desk. If you have already taken Painting 102 or are painting at an intermediate level, then hone your skills with this advanced class. Learn layering, glazing, watercolour reduction, new textures, washes and more. You’ll work in a variety of mediums, but the focus will be on acrylics. Painting experience necessary. Supply list available at the reception desk. Learn the basics of pottery making using a combination of wheel-throwing and handbuilding techniques. You will produce a series of usable, food-safe dishes ready for your kitchen table. For safety reasons, please do not wear open-toed footwear to class. Supplies included. Vin is a graduate of Emily Carr University of Art and Design (ceramic arts). 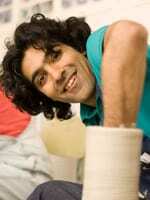 He currently manages his own studio and teaches both youth and adult pottery and ceramics. Vin has gained valuable teaching experience working with the Learning Through the Arts program. Whether through painting, sculpture or pottery, he enjoys sharing his passion with students of all ages. Sessional classes don’t fit your schedule? We offer private lessons to meet your needs. Inquire at the registration desk to arrange a suitable time. Registration fees & supply fees not included. $40 + tax per hour. Registration fees, firing fees & supply fees not included. Two-hour lesson minimum. Studio orientation included. Discover the secret to a successful drawing: the balance of opposites. Inspired by nature and a selection of well-known artists, you will draw with pencil, chalk and ink on a variety of papers. Topics will include mark-making, line, positive and negative shapes, value, texture, complementary colours and composition. Suitable for all levels; supplies included. This class is suited to both beginner and continuing students. Beginners will learn how to throw on the potter’s wheel and create projects using handbuilding techniques. Continuing students are assisted to progress at their own pace. Opportunities for special projects may be accommodated. We will cover making, finishing, decorating and glazing. Suitable for all levels. Firing and open studio time included; schedule posted each session. David Lloyd taught at Kwantlen Polytechnic University for 24 years before retiring to raise a child. He acquired a wide range of forming, firing and decorating techniques with the belief that you have to be ready to try everything in the diverse field of ceramics. Making things is fun, and making things really well is highly satisfying. With good teachers, we can all learn to make things better than we thought we could. Enjoy Making. 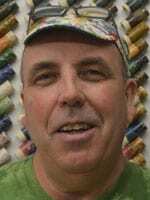 Dan Severance first did wheel throwing in high school in Burnaby and was lucky to have potters as teachers who encouraged him to take classes at the Shadbolt center in Burnaby. But like most youth, it was adventure time and clay work was put aside. 27 years later in 2004, Dan decided to try wheel throwing again. He took a beginners course with Gillian McMillan at the Port Moody Arts Center, followed by more courses taught by Clive Tucker. Dan Severance’s work has now shifted to handbuilding functional wares decorated with brightly colored under glazes. 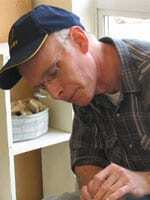 Dan is a member of the BC Potters Guild and the Tri-City Potters’ Group. His work can be seen at the Gallery of BC Ceramics on Granville Island and Kizmit gift gallery in Fort Langley. Almost 20 years ago in a dim corner of industrial Yorkshire, Clive Tucker strayed from his appointed path. After years of study completing two science degrees, Tucker found himself slaving in one of England’s “dark satanic mills.” Disillusioned, he cast his job aside and fled to the exotic east. In 1993, he landed in Durness, Scotland to apprentice with Lotte Glob at The Far North Pottery. There, he learned the art of throwing and dreamed of becoming an artist. Immigrating to Ontario in 1994, it was not long before he became a self-sufficient potter. In 1998, restlessness struck once more, and he moved to Vancouver to attend Emily Carr University of Art and Design. 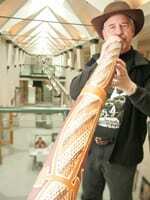 Upon graduating he was invited to be artist in residence at the Port Moody Art Centre. Late in 2008, Clive and fellow potter Jacqueline Sheridan opened their own studio, Straight Up Studios in Port Moody. Clive believes in a playful, yet poignant approach to art. He is very focused on keeping elements of play and whimsy in his work with a light sprinkling of irony. For more information about Clive and his work, visit his website here. This class is designed for the intermediate potter. Classes will focus on demonstrations and discussions on advanced techniques and technical processes. Opportunities for special projects may be accommodated. Firing and open studio time included; schedule posted each session.